Skateboarding is not just a mere sport for most people, it is a passion that they pursue. This sport is one of the dangerous adventure sports, it requires a certain level of training before you can actually take part in it. As a matter of fact, you have to actually complete a skateboarding course if you are an amateur. You may also like Well Designed Certificate Templates. You need to produce a certificate that establishes you as a skateboarder. To create one, you could take a look at some of these certificates below. You can also see Certificate Template. 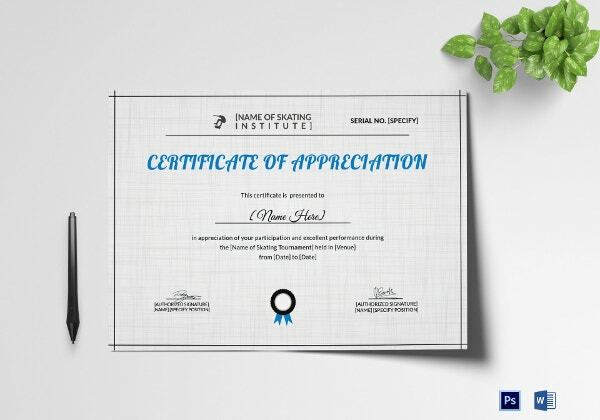 This skateboarding certificate template looks really attractive and stylish with the blue theme that is predominant here. Plus, it comes in a standard size and easy to use formats as well. You may also see Excellence Certificate Template. The first thing you notice about the skateboarding certificate template here is the attractive border near the top. The colorful template would be perfect for a competition of some sort! 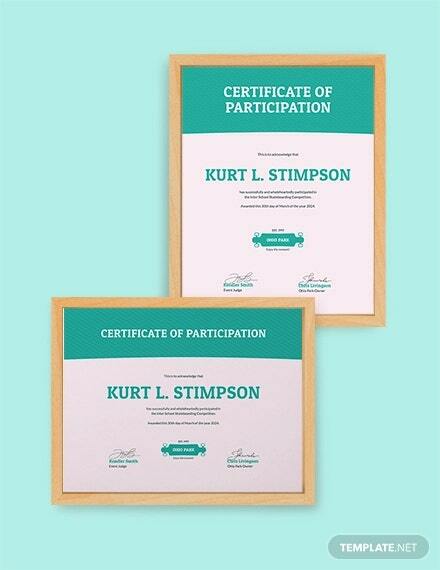 The skateboarding certificate template here comes with word and PSD compatibility. That means, you would be able to open the template in Word and PDS and then make changes to it as and when necessary. 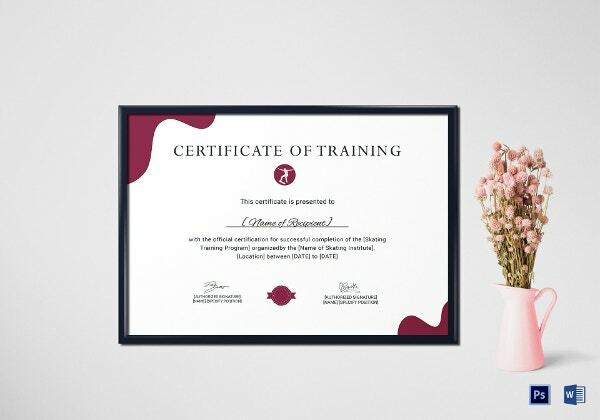 This certificate template allows you to incorporate as many details as you want. It is 100% editable and customisable for your benefit. You will be able to edit minute details and even add new elements to it. 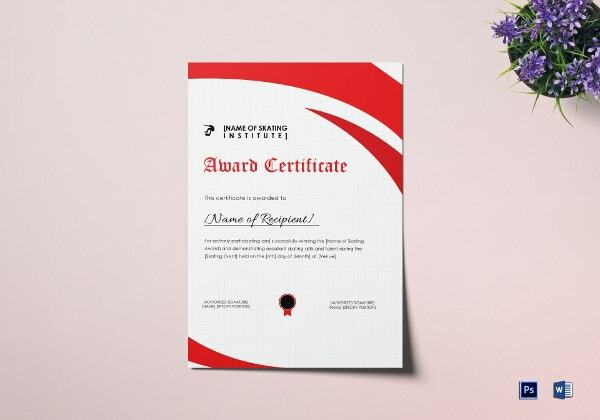 This certificate template comes in a standard size with allowance for bleed, a print ready Word and PSD formats, a CMYK colour mode, a fairly high resolution of 300 dpi and easy customisation of text and colour. > Why are Skateboarding Certificates Necessary? Skateboarding happens to be one of the most perilous yet thrilling adventure sports today. Thus, someone who hasn’t tried their hand at skateboarding before, shouldn’t go for it. Ideally, they should undergo a crash course in skateboarding and learn the basics before they try it out. A skateboarding certificate would state that the person concerned is eligible to take part in the sport certificate. Most institutes wouldn’t let you near the skateboarding equipment without this certificate. 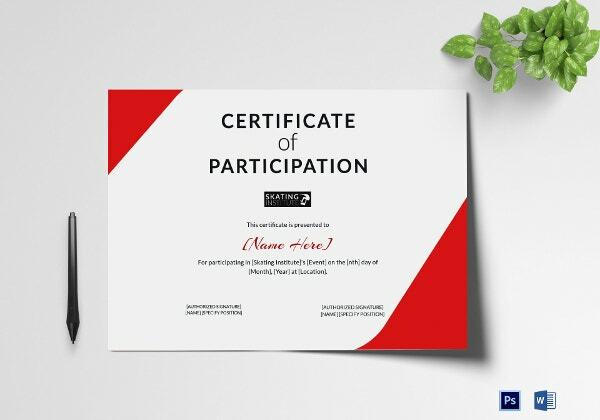 As a matter of fact, these certificates would come in handy while organising skateboarding competitions as well! That is precisely why these skateboarding certificates are so popular. 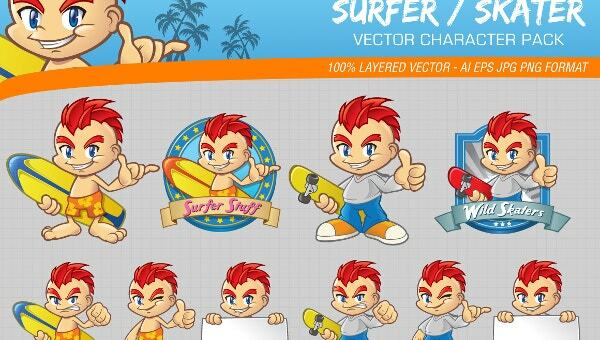 > What makes the skateboarding certificates so special? The templates here stick to the theme. One look at the template will tell you what they are all about. These templates are 100% editable. By retaining the original theme, you can just make some basic changes to personalize the template. The templates here come with Word and PSD compatibility. That makes the templates really easy to use. The templates come with a print ready format as well. 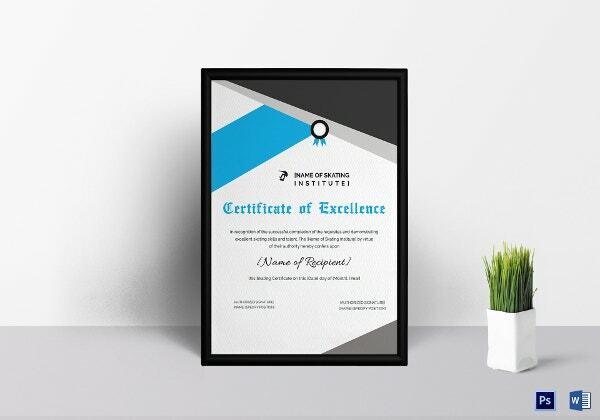 If you are interested in skateboarding and other such adventure sports, you are going to love these certificate templates. These templates are not only useful and practical but also appealing to the eye. They are well designed, attractive and stylish in nature. Plus, all the templates you see here are easily customisable.